Do you need a full Windows computer or can you do everything you need with an iPad? Let me state from the outset that by “iPad” I mean the iPad tablet made by Apple, NOT a tablet that uses Android. Yes, all of the Android tablets are cheaper because they were designed to be lower cost than the iPad. I’ve explained why I don’t write apps for Android in a previous post. I don’t recommend Android tablets for those reasons, and also because the iOS operating system used by iPads is far more secure than Android. When Steve Jobs introduced the iPad in 2010 he made the point that most people don’t need the power of a desktop computer for their daily needs. The iPad provides email, web browsing, word processing, calendar management, messaging, and even video. It’s extremely portable, even more so than a laptop computer, and less expensive. The case for a full computer comes down to the need for a large screen, more processing power, or high resolution graphics. In the world of sewing software this is mainly limited to embroidery digitizing software. Since readers of this blog are almost entirely sewing enthusiasts let’s address how an iPad might be used. The main use of computers in sewing is for embroidery. Designs can be purchased as digital files and sent to machines for stitching. Some machines, such as the Janome Memory Craft 15000 and the Janome Skyline S9, have built-in WiFi. 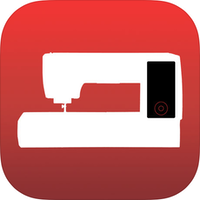 Janome has software that can transmit designs directly from an iPad to the machine. If you don’t have a WiFi-enabled machine you can still use an iPad to manage designs. Nearly all machines with embroidery capability can accept USB flash drives. USB flash drives with the iPad-compatible Lightning connector are readily available and can be used to move designs from iPad to machine. There are also numerous flash drives that have built-in WiFi and apps that allow designs to be sent to the flash drive wirelessly. If you have one of the Janome models with WiFi there are a number of free Janome apps that can be used on iPads. 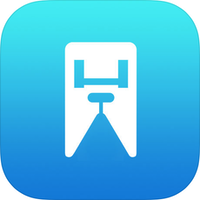 Other apps, such as DRAWings Snap and StitchBuddy, provide support for most common embroidery formats. It should be noted that the Janome AcuDesign app is very similar to DRAWings Snap, and supports designs in all popular embroidery formats. The cost of the AcuDesign app includes design editing, which makes it the cheaper of the two. 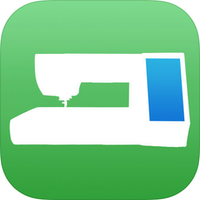 If you don’t need design editing there are other embroidery apps available, such as the free AirStitch app. This allows designs to be saved in the iPad, as well as DropBox or the AirStash wireless USB devices. All common embroidery formats are supported. It’s also possible to purchase designs on the iPad. You can have them emailed or download them directly from the website. Online designs are nearly always packaged in ZIP files. To unpack those you will need the free Documents app by Readdle. Once unzipped you can copy the designs to other apps installed on your iPad. Since the release of the first iPad Apple has traditionally updated the device every year. The recent Pro models offer an optional keyboard that doubles as a cover, as well as the Pencil for drawing. iPad apps have also evolved to be very sophisticated. A good example of this is the Affinity Photo app from Serif. It offers an astounding array of tools for editing photographs, rivaling those of desktop and laptop computers. Although the iPad is the ultimate in convenient tools, there are some downsides. The main one is probably the screen, which is covered in glass. If you use your finger to operate it, you will quickly fill the screen with smudges. A microfiber cloth is essential for periodic cleaning, although using the Apple Pencil or third party stylus can avoid the fingerprint problem. Dropping an iPad is potentially dangerous, though a number of third party repair shops now offer glass replacement. Finally there is the battery, which is built-in and non-replaceable. At some point it will no longer charge, and the device can then only be used when connected to a power source. This is not too different from a desktop computer, which will eventually need a new hard drive, or a laptop that will need a new battery and/or hard drive. Cheap Windows computers also tend to be largely plastic with minimal memory and processors, so they need to be replaced frequently. In that respect the life of an iPad is at least as long as a cheap Windows PC, if not longer. To decide between an iPad and a Windows computer you should list all the functions that you need to have available. Use Google to search for apps for those functions. Add the cost of the software you will need to the cost of the iPad, and compare it to the cost of a computer with the cost of the software you will require. This will make it easier to compare. You can also query Facebook and Yahoo groups to get opinions from those who use iPads versus computers. When purchasing an iPad you will be presented with choices. Some, like screen size and finish, are just personal preferences, but storage size is something to consider carefully. The working memory, comparable to RAM in a conventional computer, is the same in all models. The storage memory is literally that; memory used for storing documents, mail, photos, movies, etc. Price goes up with storage capacity, and you can’t add more storage later if you find you need it. Apple provides 5 GB of iCloud storage free to each user and you can add more for nominal cost. You can also get storage from apps such as Amazon Drive or Microsoft OneDrive. All of these external storage options require a WiFi connection to access, so how and where you use your iPad will factor into your decision. I generally don’t buy an iPad with the minimum storage, just because I want the convenience of having all my files available whether I have WiFi available or not. Hopefully this will help you decide which device to get for your sewing needs. Questions can be posted to the Online Sewing discussion group. Not everyone is fortunate enough to have a good local quilt shop (LQS). It’s not a high profit business, and it takes far more money than you might imagine to start one. We’ve seen the fabric business, which we depend on for our hobby, dwindle down as more and more of the traditional sources drop fabric from their inventory. Local quilt shops and online sources are now the last outpost for good fabric. Sure, the “big box” stores like JoAnn and Hobby Lobby have fabric, but the overall quality is seldom as good as that found in your local shop. Quilting has kept the fabric industry alive, but like so many industries it has moved offshore. Fabric, thread, and related textiles are now imported. Factories that made these goods have closed, frequently taking down the “mill” town they were in. The dollars spent on fabrics and thread are now flowing out of the country, contributing to the large imbalance of trade between the US and other countries, with China being the primary beneficiary. In attempting to level the playing field our president has proposed putting tariffs on a lot of products, including some of the textiles we rely on for quilting. This puts our local quilt shops in peril, as discussed in this article. Good fabric is almost never cheap, and prices will have to rise. Few, if any, quilters are wealthy and the higher prices will almost certainly impact the revenue of these shops. As mentioned in the article, some may have to close. If your city is large enough to have at least one quilt shop, then there are likely enough quilters that you also have quilting clubs or informal groups. You can help. Ask the owner of your favorite LQS to join members for coffee and a frank discussion. She can tell you what she thinks will happen as a result of the tariffs, and what it will mean for her business. Now would be a good time to buy a little extra thread that you know you will need eventually. Stock up on stabilizers. Get some patterns or kits to work on through the winter months. Summer is a slow time for quilt shops and extra dollars are very welcome. If the situation is especially dire consider a Save Our Shop (SOS) event within your quilting group. Most quilters may have a small (cough, cough) stash of fabric. This is frequently the source of “discussions” with your significant other, and said other doesn’t know about the stuff you’re storing with a friend. Have a sale within your group, selling off fabric you know you won’t live long enough to use, and give the proceeds to your LQS. There are no government subsidies for quilt shops, so if it comes down to needing a cash infusion to survive, you are probably the last line of defense. Get creative and let your shop owner know that you support her! Here’s a shout-out to the Quilt Shop of Deland, Florida. We were able to visit them last week and happily left with a new kit and some fabulous fabrics. Will you make it for Android? The short answer is “No!”, but let me explain why. Let’s start with the basics. What is Android and why are those devices so much cheaper than Apple? The heart of any computer-based device is software called the operating system. It’s a manager that controls the device from powering on through switching between the various programs. The single greatest cost item for any electronic device is software, because it cannot, at least so far, be generated automatically by machines like hardware can. The Android operating system was created by Google to use in the phone they built to compete with the Apple iPhone. It was made open source. What that means in sewing terms is that they created a designer dress, but made the complete pattern available to anyone, for free. They also released the full set of tools used to create Android software. That allowed companies like Samsung to create phones and tablets where the greatest cost item, software, was free. Soon there were dozens of companies making their own smart phones and tablets, with each of them creating their own customized version of Android. Competition quickly heated up and it became a race to have the absolute lowest priced devices on the market. For the average non-technical person, all smart phones and tablets seem pretty much the same. That means the only criterion that is used to evaluate them comes down to price, and this has allowed Android to become the dominant operating system used on the devices with the largest market share. On the surface that would seem to be an obvious reason for software developers to develop for Android first and maybe exclusively. Why do they almost all develop for Apple iOS first, or like us, exclusively? Software development is labor intensive, even though the labor is mental rather than physical. Almost all software is written for money, either from the sale of the software or advertising embedded in it. Only a few weeks after our first app was released we were at Janome Institute. When informed about our app, one dealer asked if we could “bump” phones. Bump? At the time it was possible with Android to transfer software, paid or unpaid, to someone else’s phone just by bumping them together. The prospect of selling your software once, then having hundreds of copies distributed for free, is not very appealing to any developer. By contrast, Apple has a very strong system in place to ensure that apps on iOS are close to impossible to copy. Developers surrender 30% of the sale price of their app for this, but it does ensure that you will get paid for each one sold. Because of the open source aspect of Android, it’s easy for anyone with malicious intent to see exactly how it works, and how to bypass security. This allows for virus and other malware to be injected into devices that use it, in some cases just by being nearby the source of infection. It’s also easy for shady developers to create apps that are very similar to other apps, with confusing naming. This allows them to have cheaper versions of popular apps that contain embedded software to extract customer information and send it to them for nefarious use. By contrast Apple is vigilant about user privacy and vets every app for such practices before allowing it in the store. The process is not infallible, and there have been exceptions, but they are quickly removed when discovered. No serious developer wants to risk his or her reputation by putting dodgy software in the App Store. Google has only recently started paying attention to this, as documented in this story. For independent developers like us, the equipment budget is not very big. To develop for iOS you need a Mac computer. Period. Android also has a low equipment overhead, so they are equal in terms of cost. The problem comes with which version of Android you are developing for. For example, Amazon’s Fire devices all use their own custom version of Android, so you need to own the device you are developing for. Every Android phone and tablet manufacturer also has their own customized version of Android, and they don’t always keep it updated to the latest Google version. Difference in screen sizes and device capabilities mean that a developer has to have even more devices for testing. There may be some inherent risk in just buying Android devices for testing, as discussed here. When developing for iOS I need to only decide which version I want to support and write for it. It’s very easy to make sure my apps work correctly on all the different devices. Finally there is the learning curve. 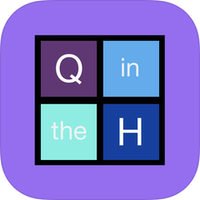 I have been building iOS apps for 7 years, and have spent hundreds of hours, as well as numerous conferences, building my skill set. Going to Android would mean starting over from scratch. Given my age and probable lifespan, it’s something I suppose I could do, but there is no motivation to do so. Supporting only Apple devices does limit our market, but Janome seems to be in agreement with our decision, since they also are Apple only on tablets. I will publish the results by the end of the month. This will help me focus on topics that will be of interest to the sewing community in general. Are you part of a hacker network? These days it seems like everything is connected to the Internet. Door bells, cameras, and even coffee pots are part of the “Internet of Things”, a vast array of devices that have WiFi capability. Unfortunately, like most things on the Internet, there is a dark side. The majority of these devices are made in China, and other parts of Asia, to keep them cheap. In many cases no thought is given to security and often the same password is used on all the products from a given company. We all hate passwords. To be secure they need to be nearly impossible to remember, and it’s almost required to have a different password for each location. When you unpack a product that has the password printed in the instructions, it’s very tempting to plug it in and go, leaving that password in place. Hackers love that. If your network is not fully secured, and most are not, they can search for cameras, baby monitors, and other connected devices. Using the default password they can connect to these devices and change the software inside that makes them work. This gives them full control without you knowing a thing about it. Sometimes they use this control to capture data. There has been at least one camera manufacture that was found to be uploading every image their cameras captured to a central server, all without asking for permission. Baby monitors are very popular for capturing conversations in the home where they are installed. That camera installed in your computer may be watching you! Some people keep a Post-it stuck over the camera lens when they are not actively using it. Even so-called “smart” TVs are getting into the act. Some track the programs watched and sell the information, and some can actually be hacked to spy on you. Invasion of privacy is only one problem, though. A far more widespread use of hacked devices is to make them part of a huge network of robots. These “bot” networks are huge, comprised of hundreds of thousands of devices. The hackers that control them can use them to attack websites, crack passwords, or even “mine” cryptocurrency like BitCoin. The owners are unaware that they are unwittingly aiding criminal acts. Has your network been getting slower since you installed those security cameras? Does it take a long time to connect to websites? Your bandwidth may be going to the botnet. The obvious solution is to simply unplug the devices, reset them to factory state, and start over. If you don’t immediately change the password, though, they will be reinfected quickly. One of the main jobs assigned to bots is to actively search for other devices to infect, so in just a few minutes a device will be compromised again. Changing the password to something different from the default is one way to avoid that. A firewall is also helpful. Most computers have a firewall installed by default, but all of the connected devices are outside the firewall, which makes them vulnerable. Installing a firewall at the router is well beyond the scope of this post. Consult the family or neighborhood I.T. professional for help with that. Before buying a new connected device, do a search of the brand and model to see if it has a history of being hacked. If you don’t need a device to be connected to your network, don’t give it access by entering the WiFi information.